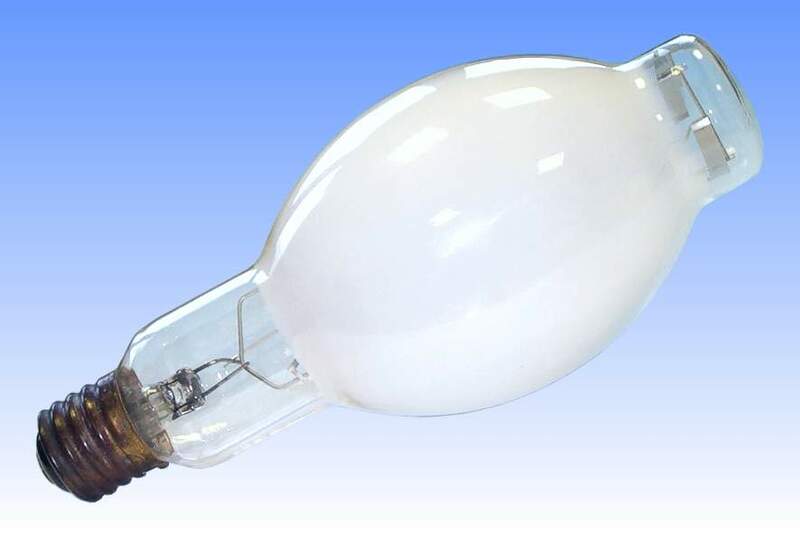 Since the first fluorescent mercury lamps were created by the British firm Osram-GEC in 1937, phosphor development was split into two directions. Firstly, attention was focussed on improving the colour rendering properties of the lamp, especially by adding more light to the red end of the spectrum. However on realising that this wasn't terribly effective with materials available at the time, a second family of phosphors was developed which would improve the luminous efficacy of the lamp. 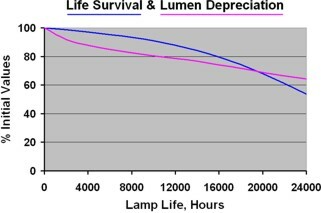 Such high-efficacy lamps were generally based on a phosphor which would convert the UV into greenish light, to which the human eye is especially sensitive. They proved unpopular in Europe on account of the unpleasant colour and found only limited use, before being discontinued. However in North America the lamps, where they were developed by Sylvania, were well received in applications where extra light was deemed to be more valuable than improved colour rendering. They were given the suffix /W. 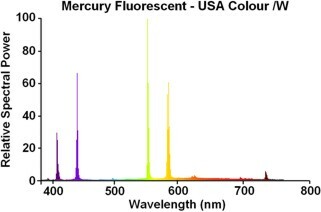 All high efficacy mercury lamp phosphors are based on orthophosphates activated by divalent tin, which are characterised by a very high quantum efficiency, as much as 82%. The precise phosphor in this lamp is believed to be tin activated strontium orthophosphate modified with zinc. Its emission is characterised by an orange glow just after switch on as the phosphor emits very broadly centred around 600nm. There is a second broad emission region at the blue end of the spectrum, and the large yellow-green emission accounts for the high efficacy. The red ratio of this lamp is approx 4%, half that of the improved colour types. 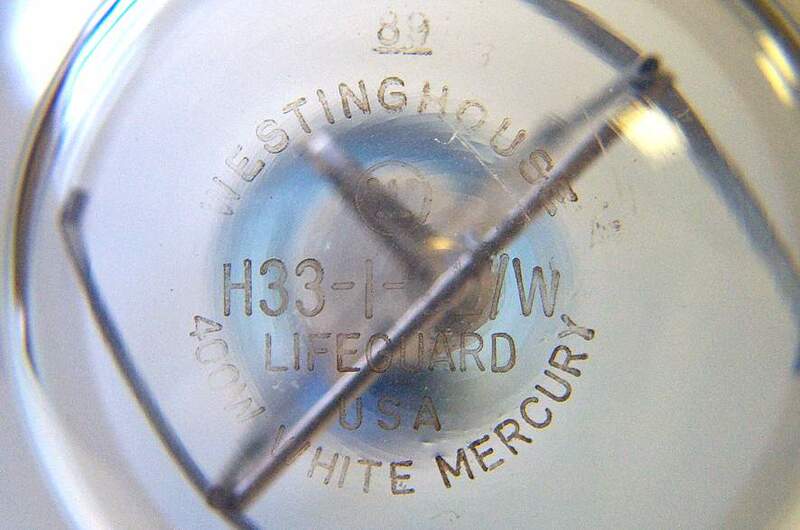 References: 1) Canadian Westinghouse Large Lamp Ordering Guide, July 1964. 2) Canadian Westinghouse, Lifeguard Mercury Lamp Brochure, January 1966.